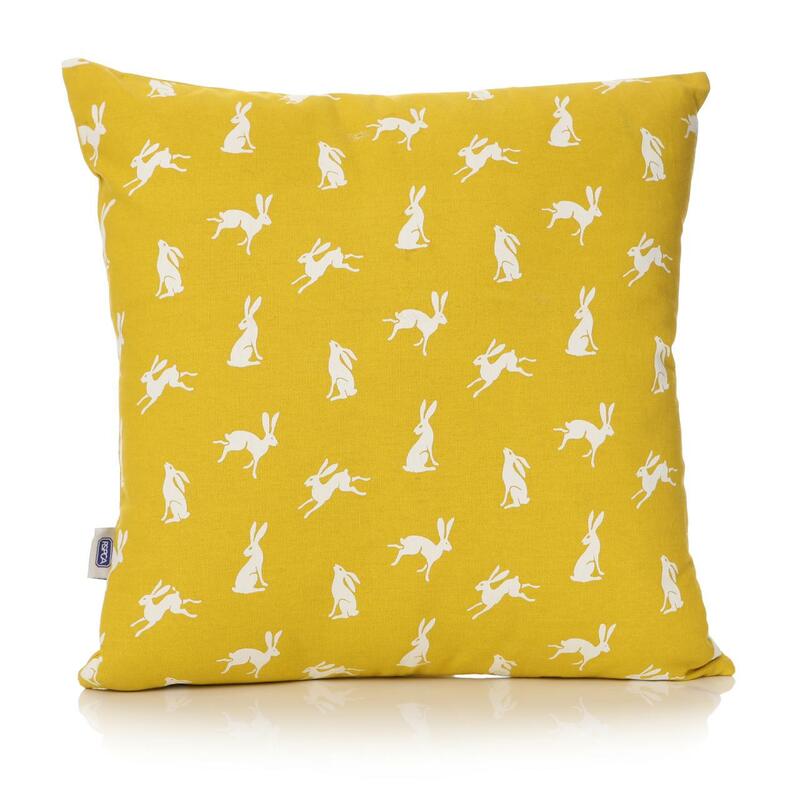 Categories: Cushions, For The Home. 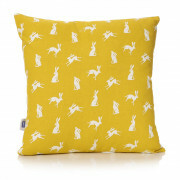 Tags: cushion, hare cushion. 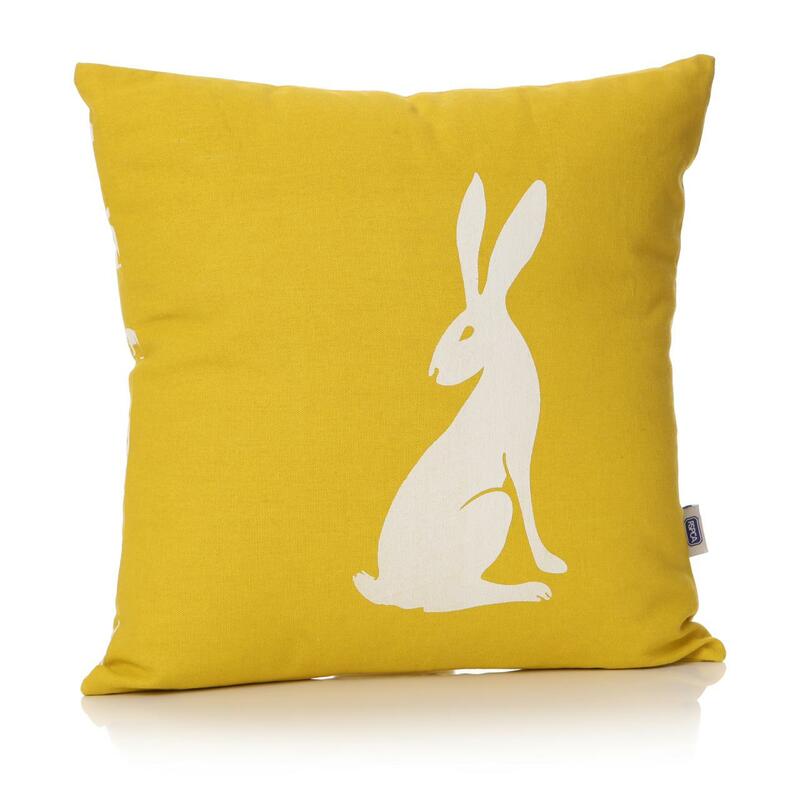 A sunny yellow cushion with a white hare on the front.